Breede River Hospice is long known for providing essential health care and support services to all communities throughout the Langeberg Sub-district. Hospice will now also offer Private Home Care, a new service. Well respected for their work in helping terminally ill patients face their end, Hospice offers a whole spectrum of other lesser known services including medical equipment hire and private home care too. Hospice home care �packages� are tailor-made in consultation with a team of healthcare professionals who, together, provide a total home care solution that ensures every persons individual health-care needs are met. Such a real-case scenario may include short term post-operative home care which would include bathing, re-dressing of wounds and such. This care, provided either part or full time, is all given in the comfort of a patient�s own home and can include medical equipment hire (wheel chairs, commodes, etc.) as is most often required. Breede River Hospice�s private patient care services include: Full-time or part-time night and day carers to care for chronically or terminally ill patients (at home). Family support in helping concerned family members deal with and assist another family member in need. Assisting patients and family members plan for future concerns � i.e. operations, rehabilitation, etc. Liaising and consulting with absent family members in caring and providing for a loved one needing aid. Bathing and/or dressing changes and even companionship after the loss of a loved one. Breede River Hospice�s private nursing care services are available to everyone and anyone can contact us directly at any time to discuss their specific needs. 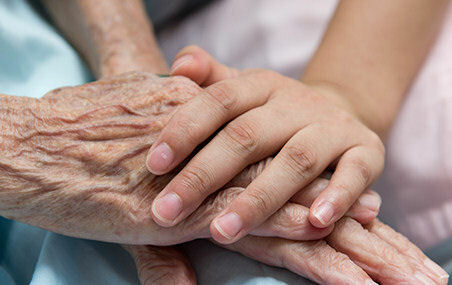 Since Breede River Hospice is a registered healthcare service provider, some medical aid organisations acknowledge them and may cover patient care expenses - or a portion thereof. Sr. Myrtle le Roux is Breede River Hospice�s Patient Care Manager and heads their home based, patient care team. She is always ready to help and advise anyone in need of care and can be contacted directly on Tel: 023 626 5710 during office hours. (The same number can be dialled for after-hour�s emergencies. � You will be re-directed to a nurse on duty).